Singapore: Singapore is home to NatSteel’s headquarters as well as its flagship plant, which boasts one of the largest single downstream rebar fabrication operations in the world. The Singapore plant is the only local steel mill with an integrated upstream and downstream operation, where steel is manufactured through recycling scrap, and fabricated according to customers’ needs. It’s subsidiary, NatSteel Recycling, is also Singapore’s largest metal recycler. Malaysia: NatSteel has recently set up a downstream facility in Johor through its subsidiary Easteel Services (Malaysia). The new facility is a full-fledged downstream plant, with an annual production plan of 40,000 metric tonnes. 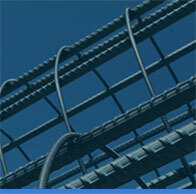 Thailand: Siam Industrial Wire (SIW) is one of the largest producers of PC strand and wire in Thailand. The company operates one of the most advanced wire plants in Southeast Asia, with a production capacity of over 200,000 metric tonnes per annum. TSN Wires, a joint venture between SIW and Nichia Steel Works Ltd., is the very first manufacturer of Zinc-Aluminum coated products in Thailand. For more information, please visit SIW here and TSN Wires here. 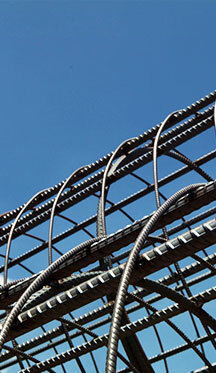 Vietnam: NatSteelVina is a premium producer of steel reinforcement bars and wire rods in Hanoi. The company has a production capacity of 200,000 metric tonnes per annum.